Nicki Donnelly, from Birmingham, dreamed of being a policewoman since she was a little girl and received six awards for bravery throughout her 10 year career. But after her police car was hit by a speeding driver while out on patrol in 2009, Nicki, 34, was left paralysed from the chest down – and forced to quit her dream job. Nicki had previously modelled as a teenager but gave it up when she became a police officer. After nearly five years of gruelling recovery and physiotherapy, a set of inspirational pictures she posted on social media were spotted by a photographer – and she is now signed with a leading model agency. Since bagging a contract with Models of Diversity in 2016, she’s fronted campaigns for Apple, Boots, and various other make up brands – and has even modelled at London fashion week. In 2009 Nicki found her life turned upside down as when she was on the job and driving in a police car when another car ignored a stop sign and ploughed into her in a head-on collision. The driver of the car that hit her was doing excess speed in the 30mph zone and Nicki’s car was totalled. Her body was crushed and her hips shattered as her car crumpled around her. “He got out of his car and as soon as he saw I was a police officer his whole demeanour changed – it seemed like he just felt hate towards me. “He got out his vehicle and there wasn’t a single dent on it, but my bonnet completely caved in around me. “But there were loads of witnesses around and they stopped him and called the police. He was driving at excess speed, where I had right of way. Nicki was taken to the hospital, where medics told her she had fractured her shoulder, eye socket, collar bone, wrist, jaw and suffered a broken back, hip, and pelvis. Over the next two years she suffered every day and lost the ability to walk and even talk. Eventually she was diagnosed with delayed t4 spinal cord injuries and was paralysed form chest down. “My body literally crumbled and I could feel bone shattering away every day and my bone density just got weaker and weaker. “During the year in hospital they wouldn’t allow my daughter to come and visit me – it was heart breaking but I would fight for my daughter; she’s my everything, my world. After her diagnosis, Nicki’s recovery could finally start and over the next five years she re-learned talk and how to get around in a wheelchair. 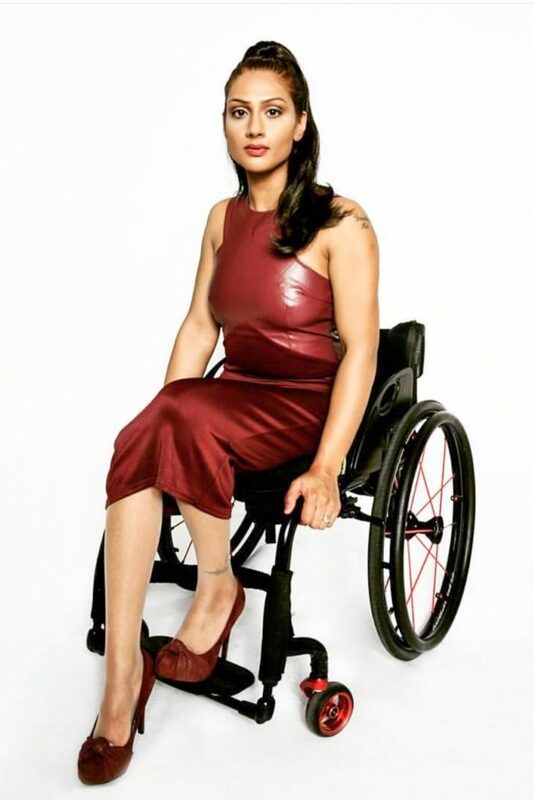 “But people would speak to my daughter, not me, and would say things like ’Why does she bother wearing nice clothes in a wheelchair?’ and I might be in a wheelchair, but I still want to look good. “When I looked for models like me, I just couldn’t find any –I wanted to know where the beautiful women in wheelchairs are. “There’s supposed to be almost 13.5 million disabled people in the UK – that’s a lot. “I feel like I’ve already lost a lot and now it’s I was missing out on fashion as well, so now I’m fighting for people with disabilities. Nicki decided to use her love of fashion and passion for fairness to become a model and has since modelled for Apple and has won the titles of 2017 Miss British Empire. 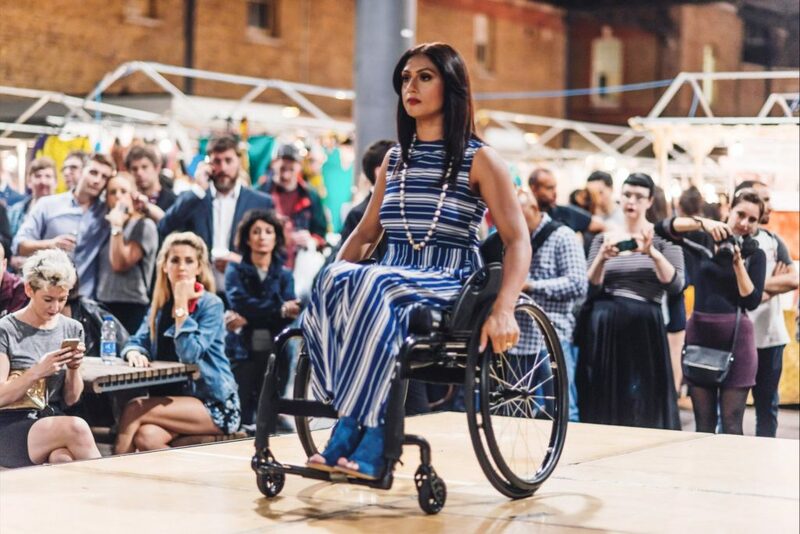 “I’m going to fight for my right to represent disabled people – I’m a British born, Indian, disabled Catholic woman and I think it’s hugely important for us to break down these barriers. “I’m also a motivational speaker, campaigner for injured police officers, but people often don’t take me seriously.